The genre-defying Atlanta artist’s latest includes features from Rick Ross and MadeInTYO. In advance of his upcoming full length debut, Open Late, Atlanta's 24hrs has shared a prelude of sorts called Not Open Late. The five-track EP features beats by DJ Mustard and Nard & B of Migos' "T Shirt" fame, among others. The smooth "Turn Me Down" is host to appearances by frequent 24hrs collaborator MadeInTYO as well as Philly native PnB Rock, while a remix of his previously released ode to diamonds, "VSVSVS," includes a guest verse from Rick Ross. 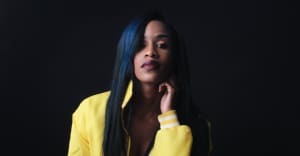 The project's twinkling closer, "Like That," tells the story of a relationship gone sour, and opens with a verse by fellow Atlanta rapper/singer Salma Slims. Listen to the full project below.